"Neal did a tremendous job for us and people rave about our website. He was very helpful in designing exactly what we needed." "Neal convinced me to move to self-hosted WordPress. With his help during its move Evangelism Coach.org grew from 300 visitors a month to nearly 15,000. The dude knows what he's talking about." "I have known Neal for quite some time and have found his knowledge of computers and websites outstanding. He is highly talented and creative. He designed my website with such simplicity that it is easy for me to keep the site up to date. I would recommend him to anyone who wants a personalized and classy website." 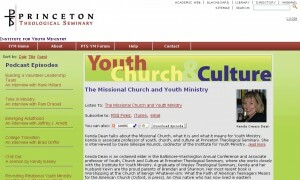 I designed my first website in 1995, just two years after the dawn of the World Wide Web itself. For the next 15 years, I continued to design websites for friends, churches, small businesses and individuals — often for free, sometimes for pay. The websites and testimonials in the sidebars are for work I’ve done independently. Under rare circumstances I still do some independent work, but mostly these days I collaborate with a small and highly talented team of developers called Poka Yoke Design. Collectively, we have done work for the Presbyterian Church (USA), Princeton Theological Seminary, Liz Claiborne, Dow Jones, and many others. A portfolio can be found on our website. While I have done both graphic design and coding in the past, my specialty within the Poka Yoke team consists mainly of web 2.0 implementation, social media integration, and online community building. Through Poka Yoke, I’m also available for consulting and training to help businesses, organizations, and individuals learn how to effectively use and understand web-based applications like Twitter, facebook, YouTube, Second Life, Google Wave/Buzz/Apps, and a wealth of other social networking tools. If you’d like more information about Poka Yoke, or a quote on a web project, please use the contact form on the Poka Yoke website. If you’d like information specifically about me, or my availability for consulting/speaking/training events, just send me an email. 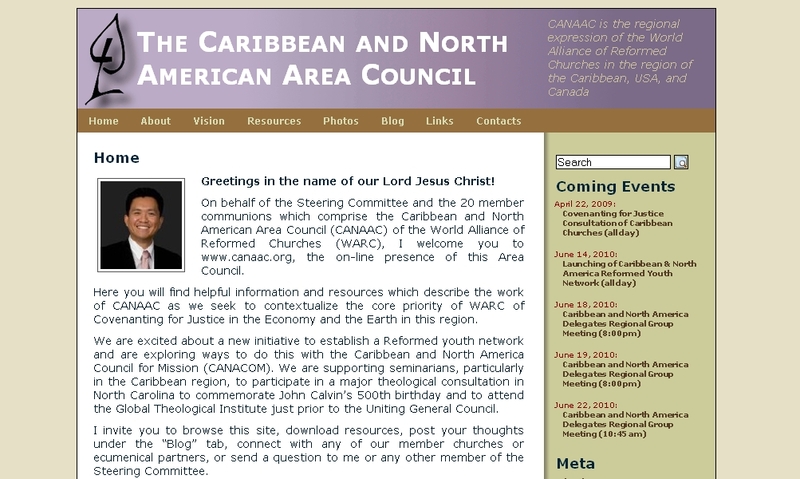 An informational website designed for the Caribbean and North American Area Council of the World Alliance of Reformed Churches. 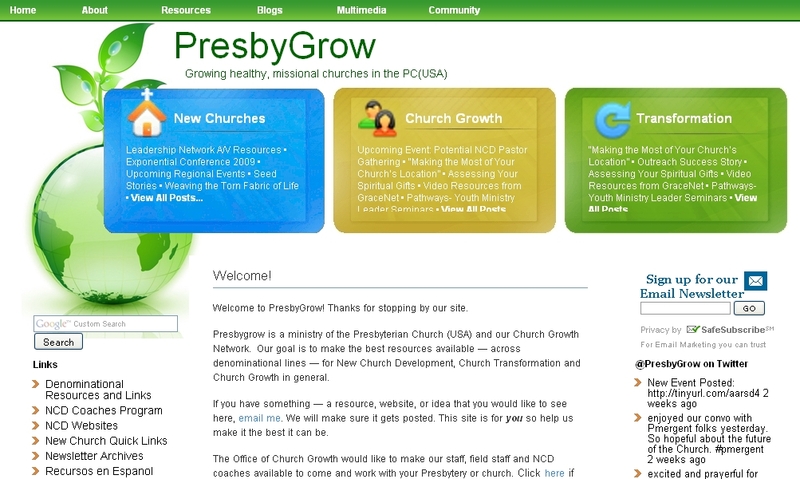 A hub for church planting & growth resources designed for the Presbyterian Church (USA) Office of Evangelism and Growth. 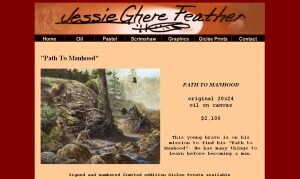 A virtual showroom for the Native American and Wildlife art of Oklahoma artist Jessie Ghere Feather. 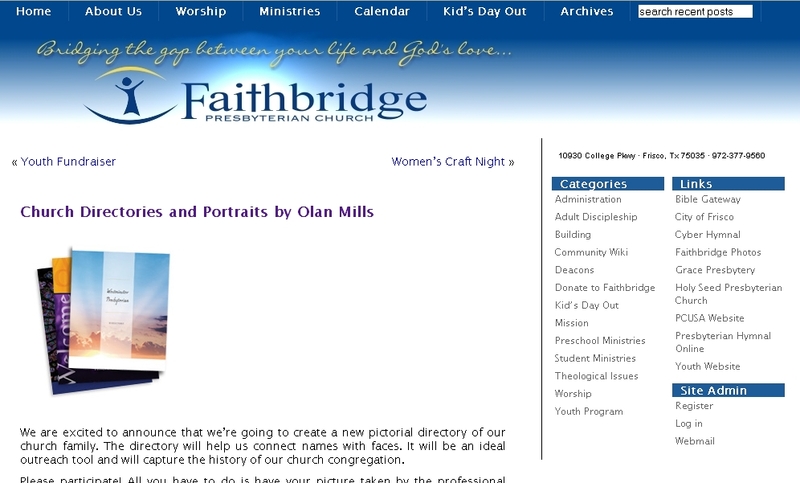 A local church website designed for Faithbridge Presbyterian Church, and featuring a community wiki. 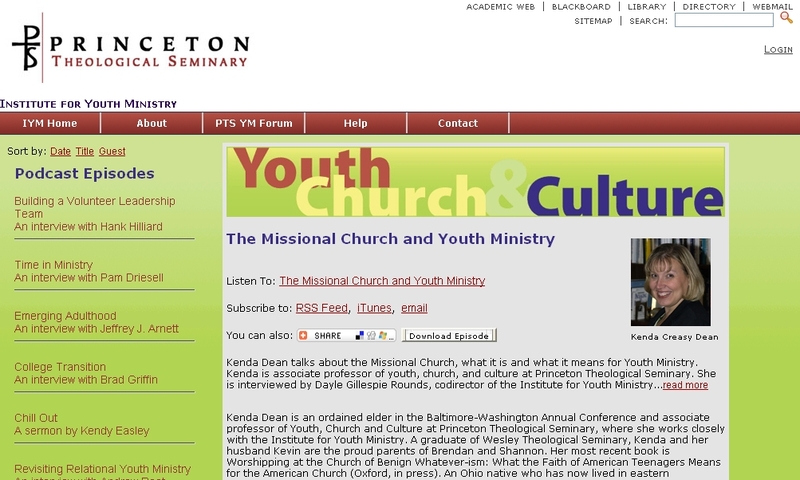 A podcast site designed (in collaboration with Mike Gyura) for the Princeton Theological Seminary Institute for Youth Ministry.